How a normal family stumbled onto a better way to enjoy fine chocolates. So if you remember where we left off, my mother had just invited the family over for a special chocolate tasting to enjoy together. We weren’t sure what she had in mind. Our chocolate tastings were already a ton of fun…and delicious. How could they get any better? We all gathered around the table. Small plates were set for us, like normal. Then, she handed each of us an index card and a pencil. “You guys are going to need these,” she said. So she went into the kitchen, and soon returned with three chocolate bars. But this time, something was a little different. We couldn’t see what kind of chocolate bars she had brought out because the outer labels had been removed. So THAT’S what the index card and pencil are for! Now, we thought it was going to be easy. 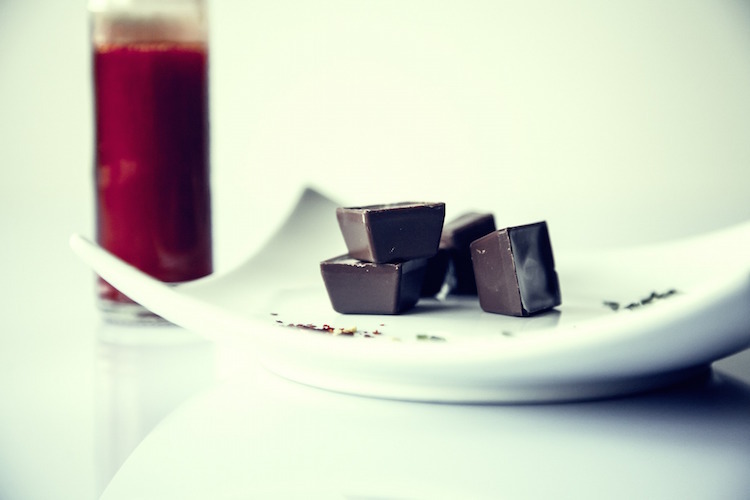 We have chocolate tastings all the time…why wouldn’t we be able to tell what was in each bar? A small plate with some “mystery” chocolate pieces on it. We have stumbled onto a better way to enjoy and discover new delicious chocolates! Why not share it with others? I started a company called Mystery Chocolate Box, and our goal is to provide that same experience to people just like you. (Actually, a better experience… you’ll see :)). 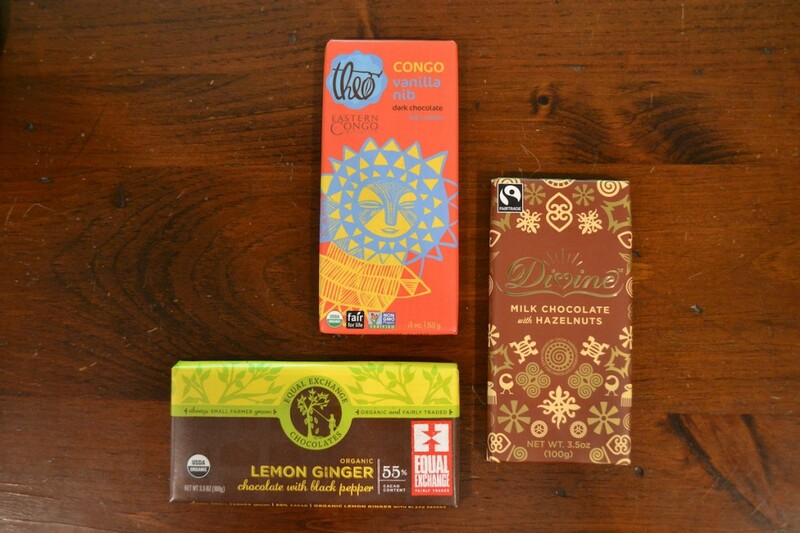 Each month, we send you 3 chocolate bars, plus a guessing card so everyone participating can record their guesses. You will have your chocolate tasting (Have a blast! It’s one of the requirements ;)). When you’re done, you can submit your guesses online to instantly see what you got right, what you missed, and what those chocolate bars actually were. Oh, and correct guesses earn points that can be used later for rewards (like free chocolate!). It’s a ton of delicious fun, and, since you’re a proud chocolate lover, I think you’ll love it. Actually, I know you’ll love it. And because I think you’ll enjoy it so much, I’d like to give you a coupon for $5 off your first month. You might have some questions, so in anticipation I answered some frequent ones below. Q: What kinds of chocolate are included? A: As I’ve said earlier, we send out 3 chocolate bars. We try to provide a mix of dark and milk chocolate (with the occasional white chocolate bar sneaking in) so it’s great for everyone. Q: Is there anyway to see the chocolate bars in previous boxes that have been sent out? A: There sure is! Check out our past box reveals. Q: Can you cancel at any time? Q: What if I have allergies? Q: When do the boxes ship out? We ship the boxes out the first Monday or Tuesday of the month. Do you have a question that wasn’t answered here? Try our full FAQ here (at the bottom of the page) or contact us. Three bars that we included one month. What about buying it as a gift? 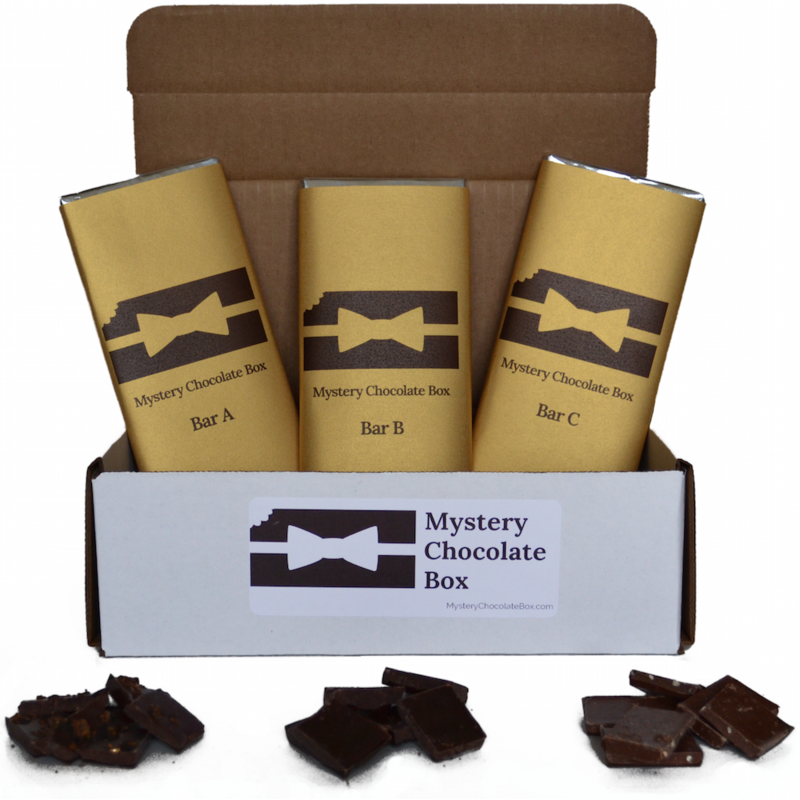 If you know of any special someone who loves chocolate (there’s a very high probability that this is true), then a gift subscription to Mystery Chocolate Box would make their day. Well, it would make more than their day, because in fact, because they’ll receive multiple deliveries from us. So if you’re interested in ordering a gift subscription for someone, click here. Our gift subscriptions are just like our regular subscriptions except (1) you can add a gift card and (2) the subscription does NOT recur (this means if you order a 3 month subscription, their subscription will end automatically after 3 months). Of course, if you want to send a regular recurring subscription as a gift, you can do that. A never ending supply of chocolate always scores big points. Oh, there’s one other thing I forgot to mention. For every box we send out, we also donate 2 meals to charity (one meal to the United States and one internationally). It’s our way of helping to fight hunger while delivering tasty chocolate bars at the same time You can learn more about our meal donations here.